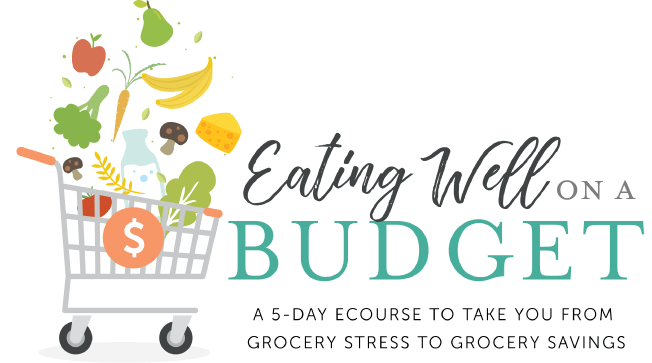 This is another company with products that Will and I use every single day in our home! Enter: Redmond Life! Will and I have been using Redmond Life products in our home for close six to seven years now. We use their toothpaste, Real Salt, and seasoning salts in our home every day. 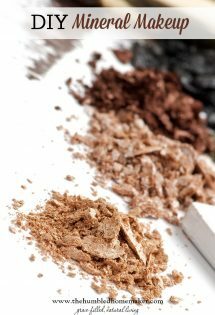 We also use their Redmond clay on a regular basis. 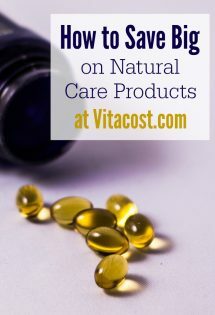 And we were thrilled to recently try some of their newer products as well. Redmond Life boasts products that are REAL. Every product that Redmond makes has a short list of real ingredients – and it isn’t a tradeoff. Their natural foods are delicious. Their personal care products really work. Redmond products are simple, clean, and real. Redmond mines their own real salt and clay in the pristine canyons of Utah. The purity and quality of their products is clear. 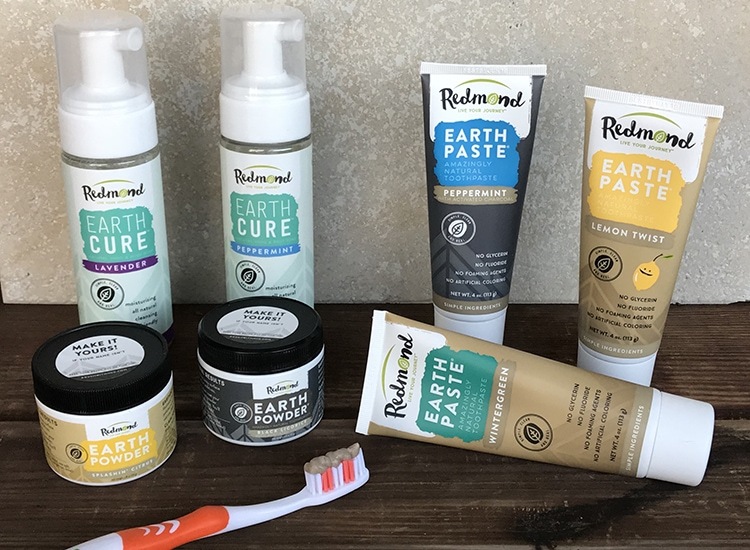 Redmond makes and sells clay-based toothpaste called Earthpaste, Real Salt, bath salts,seasoning salts, facial clays, and more. I also use their Real Salt every single day, and their seasoning salts add so much flavor to our meals! Not only this, but I take regular detox and relaxation baths with their bath salts, and I keep their bentonite clay on hand to use for scrapes, cuts, burns, facials, and all kinds of other skincare issues! 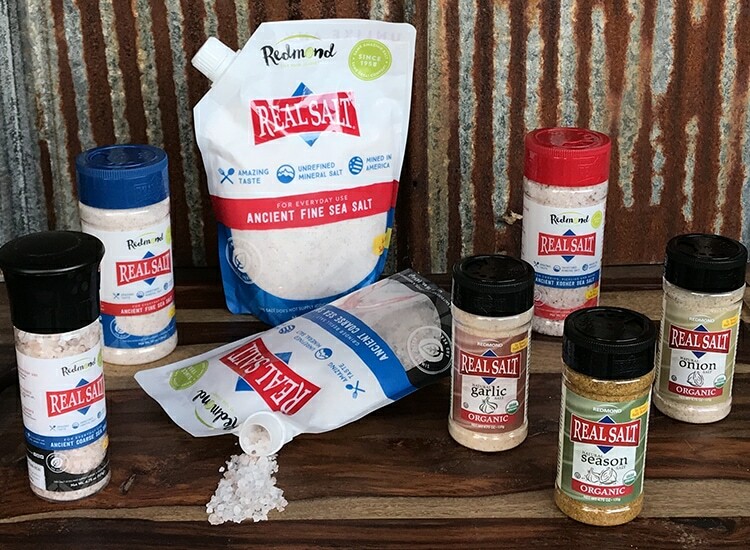 Redmond’s Real Salt was the first product of Redmond’s that our family began using close to seven years ago! 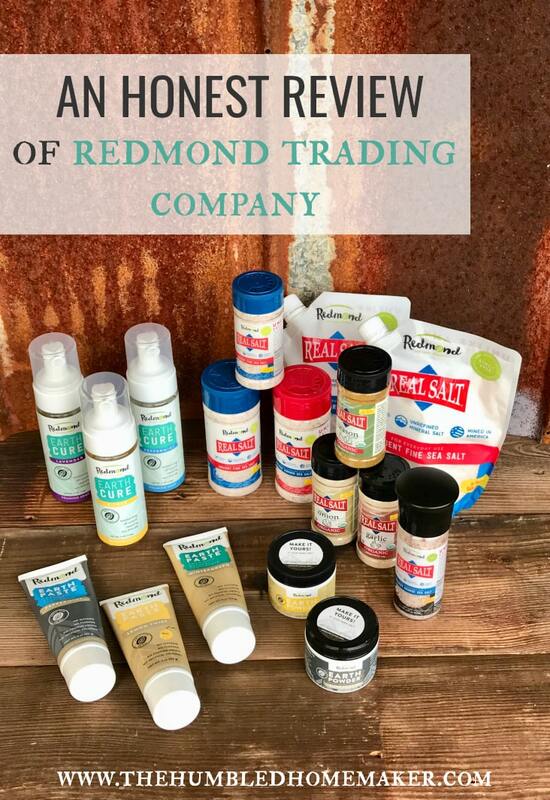 Redmond’s salt is full of pure, unadulterated minerals with no anti-caking agents or additives. The organic seasoning salts are made with organic spices. We use the seasoning salt on everything from meats to veggies! Check out all the Real Salt varieties here. Our entire family uses Earthpaste to brush our teeth every day. Will and I prefer the peppermint flavor, while the girls love the lemon twist. I’ve never had a cavity. Will, on the other hand, had them his entire life until he switched to using Earthpaste about six years ago. No lie: He hasn’t had a cavity since! New this year is Earthpaste with Charcoal! Charcoal has whitening capabilities, and I’m so excited for this toxin-free way to whiten teeth! Check out all Earthpaste flavors here. We’ve also enjoyed trying their new Earthpowder. Redmond Earthpowder removes surface stains better than toothpaste. Just wet your brush and dip! 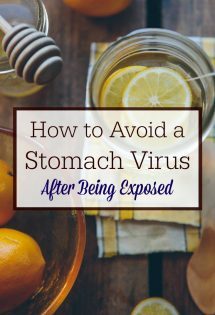 There is a place to label each jar of powder, so you don’t have to share germs with your family members. Ha! We LOVE washing our hands with Redmond’s Earthcure foaming hand soap. You can also use it on your face and body! Check out all Earthcure scents here. 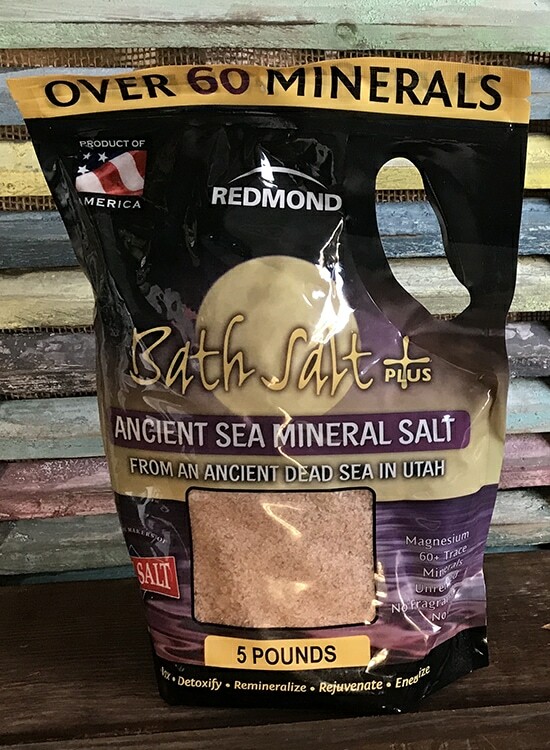 I’ve been taking regular detox baths with Redmond’s Bath Salt Plus for several years now. 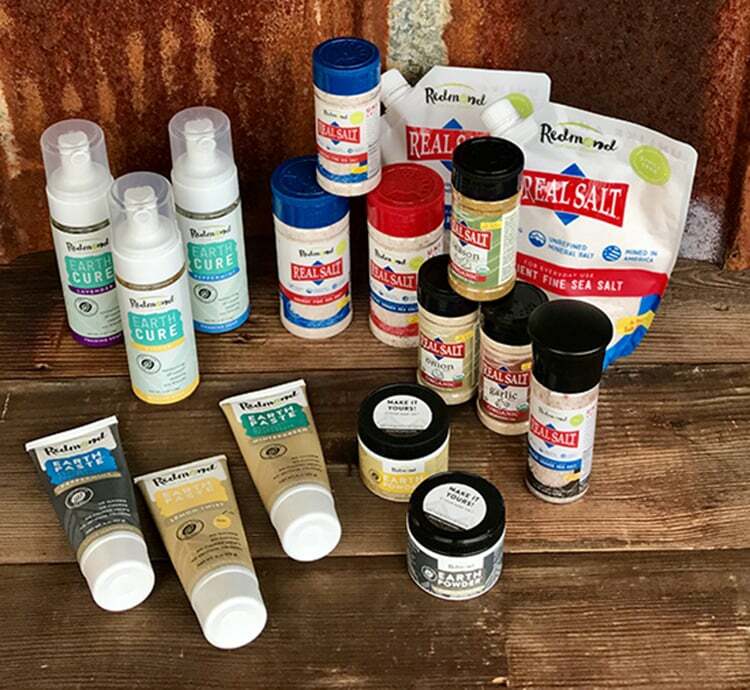 No, they don’t look like the bleached out bath salt varieties you might find in some big box bath stores, but that’s because they are pure salts from Redmond’s mines out in Utah. I love adding some essential oils to the salts for a nice, relaxing bath! Check out Redmond’s bath salts here. Real Salt is my favorite salt to use! I have used several of their products and they are all awesome!!! I only use Real Salt.